Margaret Fox graduated with an M.A. (Hons.) degree in History from Edinburgh University in 1975. 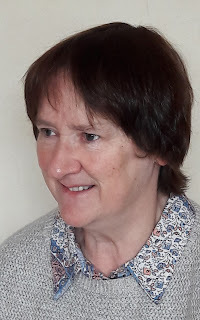 From 1999 - 2011 she was an archivist in the National Archives of Scotland, working on wills and testaments, and the records of the Church of Scotland and High Court of Justiciary. In her 'retirement' Margaret's mission is to promote the value of these records to the family historian. Margaret will be presenting her talk "Seek and Ye Shall Find" Using the Kirk's Archival Legacy to Unveil the Lives of Your Scottish Ancestors during the Scottish ViC (virtual conference) on Saturday, January 27th, 2018. Margaret will help us to understand the truly rich resource that the Kirk's records offer for the family historian. 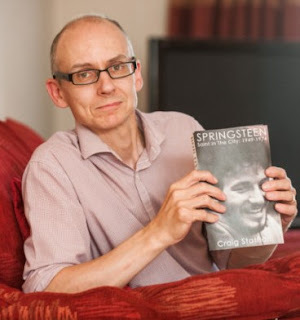 Craig Statham is the Maps Reading Room manager at the National Library of Scotland. Educated at the universities of Edinburgh and St Andrews he has spent the past 16 years working in museums, archives, and libraries. He took up his current role four years ago, and has recently overseen the move of the Reading Room to a new venue. During the Scottish ViC, Craig will be talking about the vast collection of maps in the holdings of the National Library of Scotland and will show us the fabulous website for the NLS Maps, which can help us to understand more about where our ancestors came from.